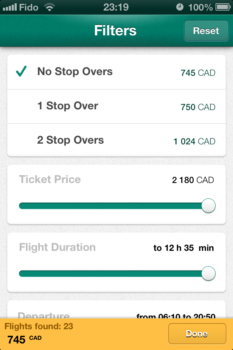 Finding the best deal on a flight can be difficult so JetRadar wants to make your search a little easier. JetRadar searches through 728 airlines, 5 booking systems, and 40 travel agencies, then organizes the result from least to most expensive. JetRadar is really easy to use. The Search Flights page is simple, and asks for just the basic information, such as departure date and location and number and age of passengers. The Flight Details (results) page shows you many, many options on flights, and lets you add filters, which are quite extensive, to narrow the results. 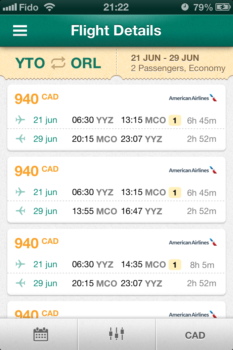 You can narrow simple things like price, and flight or stop over duration. 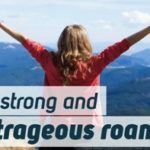 You can also narrow down which airports you are willing to stop over in, or if you want to stop over at all, or which airlines you will fly with. 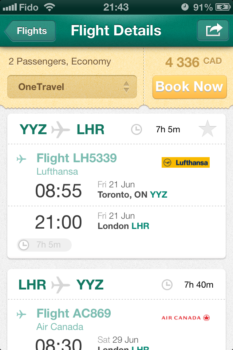 JetRadar has everything I want in a flight search and compare app. I like how clean and intuitive JetRadar is. I like that I’m given a lot of results, from all the airlines I would consider taking and then some. Also, being able to send myself (or anyone) the flight information via email, so I don’t have to buy the tickets on my iPhone, is a great feature. 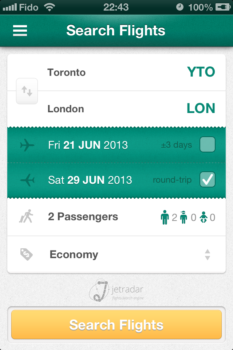 JetRadar looks to take on existing flight aggregator apps such as Hipmunk. If you’re interested in searching for and comparing flights on your iPhone you can download JetRadar from the App Store here. Then, tells us if JetRadar helped you find a deal on a flight.